This 23" necklace is beautiful! 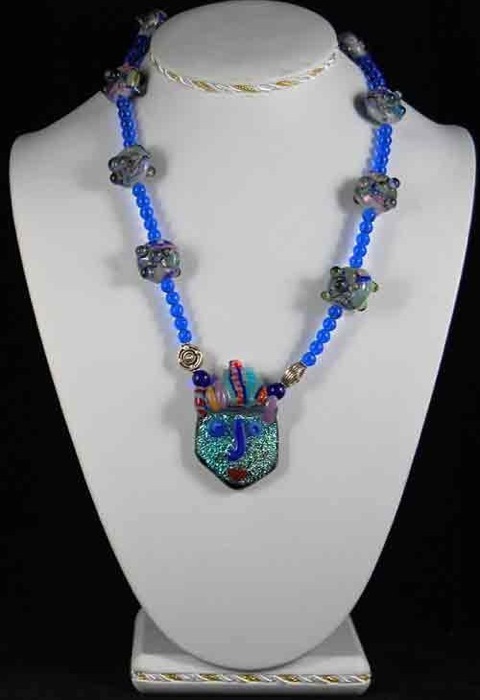 Most of the strand encompasses blue glass beads along with multi-colored glass beads. The pendant is a glass mask. There are silver accents and clasp. 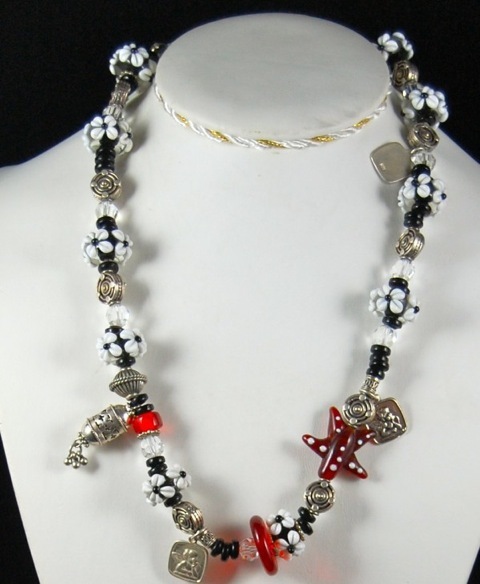 This 17" glass necklace has red glass beads with glass beads with enhanced glass frogs. These are accented with silver charms, beads and clasp. 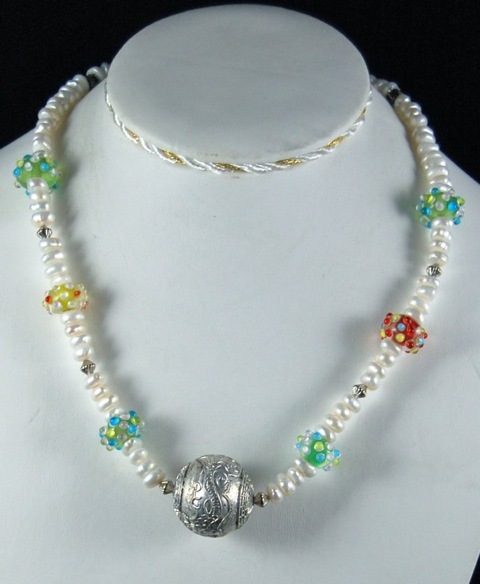 This 17" necklace has 3 long antique African Trading beads with yellow accents. These beads are very special. 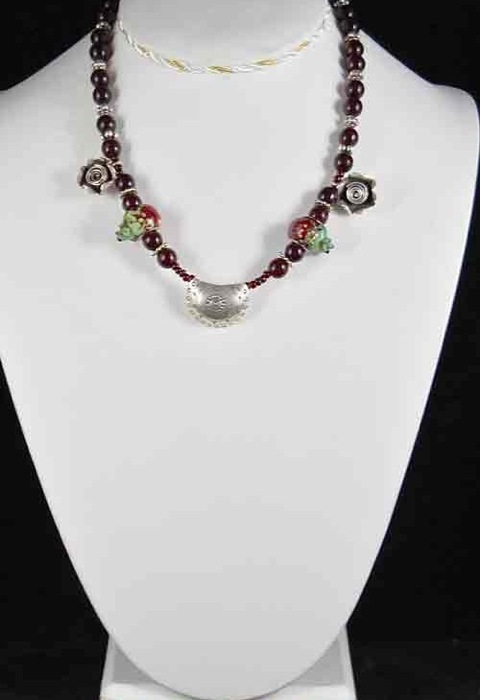 It is accented with small red African beads and contemporary glass and silver beads. This 21" necklace has circular agate stones with blue sapphires strung through the circles of agate and encompass the necklace. This necklace will go with all your outfits! Glass and silver. 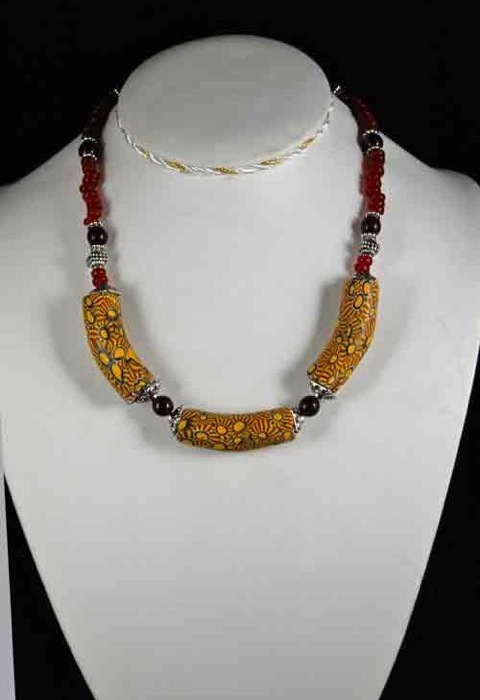 Wonderful ethnic necklace. Looks like natural fibers but it is really glass! 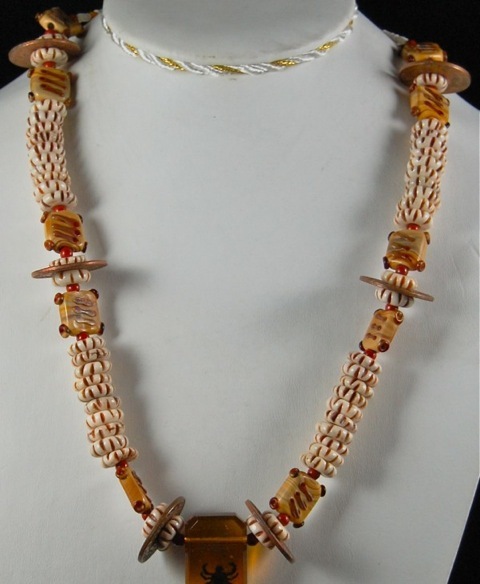 Round bone colored rondells with two toned brown flattened glass beads Antique copper coins. Silver beads, spacers and clasp. Feature bead is glass replicating fossilized amber with an insect inside. 20" long. Glass necklace 20" long. 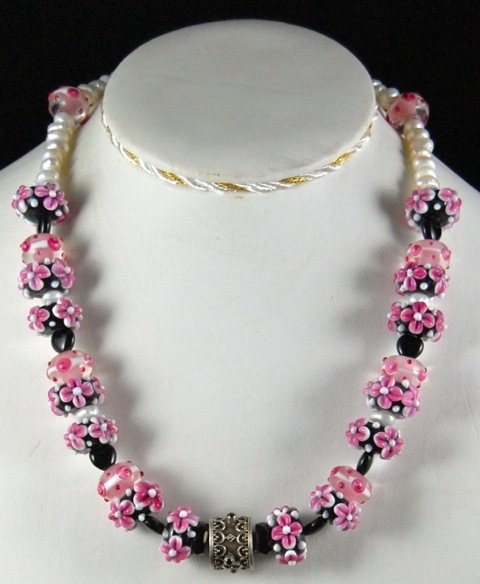 Black and white glass flower beads. Red glass African trade and modern bead accents. Generous silver accent charms and spacer beads with silver clasp.